Learn about the plans to re-envision UC San Francisco’s largest and oldest campus. Learn about current and future buildings, including the Joan and Sanford I. Weill Institute for Neurosciences Building, Block 33 Building and Precision Cancer Medicine Building. As the entire UC San Francisco campus evolves, the importance of Mount Zion as an outpatient hub will continue to expand. UC San Francisco intends to fully vacate Laurel Heights by 2021 when new facilities are completed at Mission Bay. The Priscilla Chan and Mark Zuckerberg San Francisco General Hospital and Trauma Center (ZSFG) and UC San Francisco share a 140-year history of partnership. Welcome to the UC San Francisco Space website. Here you will find information about work space at UCSF, including current renovation and construction projects, as well as links to our many sister sites. Our goal is to provide a unified source of information on these projects and answer any questions or concerns about construction, timelines, open plan design, and decision-making. We want to ensure ongoing communication once projects are launched throughout their timeline to completion. Finding the best place for our leaders to work and collaborate can be a challenge. As we look to the future, we must consider how we can accommodate potential growth and provide appropriate space for our faculty and staff to work within a constantly challenging budget climate. Our partners at Campus Life Services have created a construction alerts website where real-time information can be found about transportation, parking and other construction-related impacts that affect our staff, faculty, students and trainees. 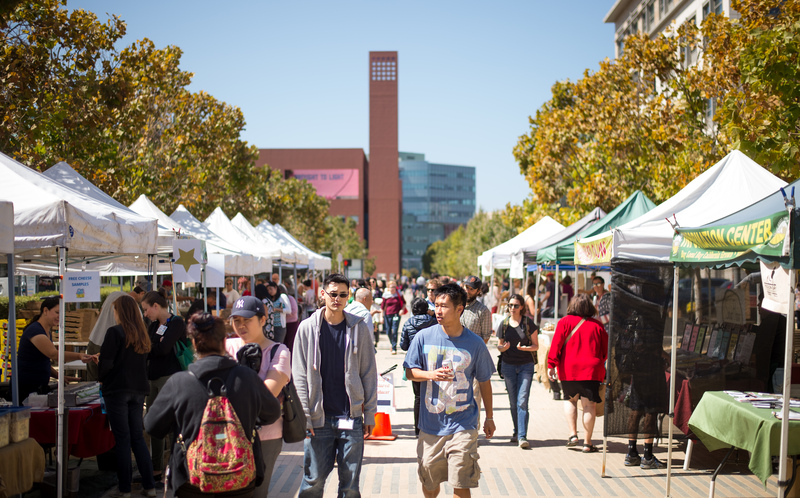 Mission Bay Farmer's Market brings fresh food and rotating lunch options every Wednesday.